Estate Agent valuations are based on a number of factors, they consider other local property prices on the market for sale where the property is comparable, they look at the location and what the property has to offer and its land, then they look at property sold prices (or comparables) for similar local property. 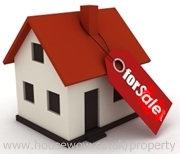 When selling property its useful to get 3 Estate Agent valuations. If your property us unique and nothing quite like it has sold in your location in recent years then the Estate Agent may struggle to price the property effectively. Estate Agent valuations in these circumstances can vary quite remarkably. 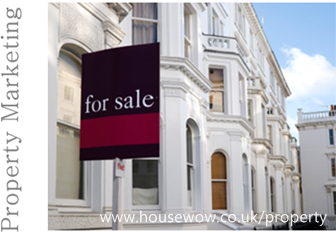 Estate Agents will usually provide a free property valuation and will not charge you for their time. They hope to secure your business and sign you up to manage the property sale after providing a free Estate Agent valuation of your home. You can request 3 Estate Agent valuations, without obligation. It is wise to get these valuations so that you can compare the different suggested property prices and decide on a mid-point valuation to agree with. A mortgage lender would also check the comparables before lending on a property or agreeing the mortgage application. This is an important reason that your asking price should be realistic. An over-inflated asking price will put off viewers and even if you receive an offer to buy your property close to the asking price, if the buyer requires a mortgage the lender will reject the application if the price is too high. Many vendors find that they have to reduce the selling price in line with the realistic property valuation of the mortgage lenders valuation. When choosing an Estate Agent, therefore, do not be influenced by the Agent which values your property the highest. This may be a tactic because a vendor is obviously tempted to choose the Estate Agent suggesting that they can achieve the highest selling price when selling your home. A few weeks later without many viewings they are likely to suggest that you reduce the asking price. However, by this time, you will have lost valuable time and the potential interest of ready and willing buyers who know the realistic asking prices of new property as it enters the market . If the Agent delays in suggesting a realistic asking price at which to market your property then it may suffer the consequences of becoming 'stale' and sit on the market with potential viewers starting to draw assumptions that there must be something wrong. 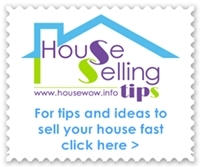 Do your own sale price research and compare property selling prices rather than the property asking prices which you find from property searches. feet. If your property price is too high - you will not see them again! What is a property portal?